For as much as we'd all love to, us golfers don't spend every waking minute of the day at our favorite (Billy Casper Golf) course. 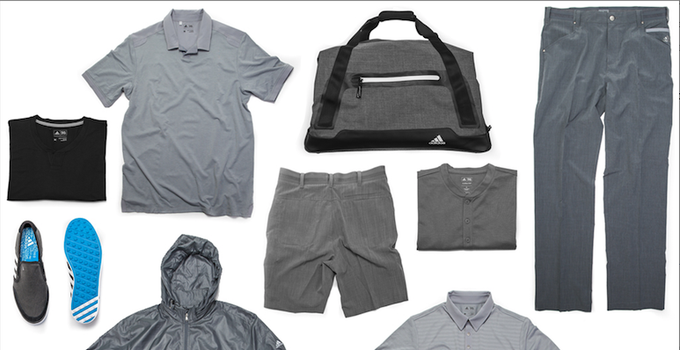 That's why adidas Golf has introduced its new Travel Capsule collection, a set of seven, separately-sold pieces that work for golfers off and on the course. The collection is comprised of T-shirts, polos, a lightweight wind jacket, layering pieces, shorts, pants and a matching heathered travel bag. The pieces all feature varying shades of grey, with a teal accent color in many of the pieces for added color. The pieces range in cost from $40-$125 and are available Dec. 1.